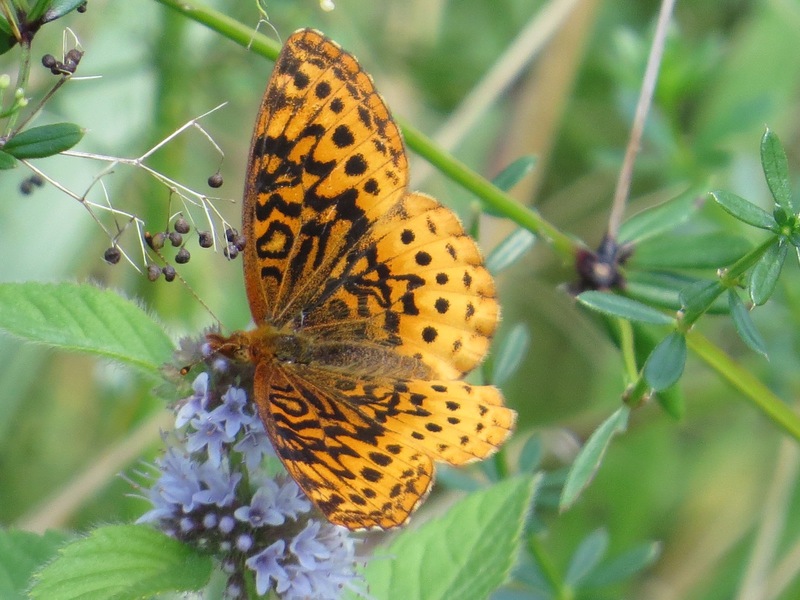 I was pleased to see that Glassberg’s book had many photographs taken in Westchester Co., NY, where both the first and third butterflies pictured today were spotted. This one is a little harder to pin down. 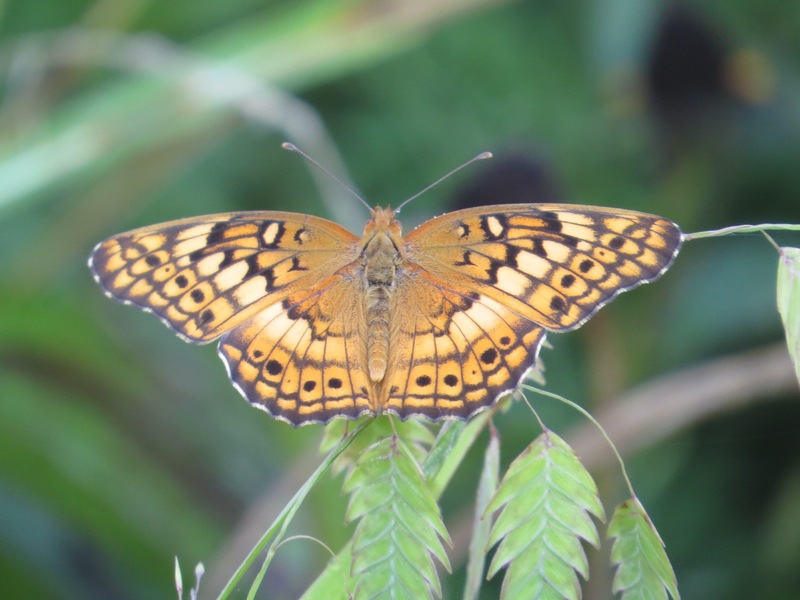 In our parts, the Satyrodes genus includes the Eyed Brown and Appalachian Brown. 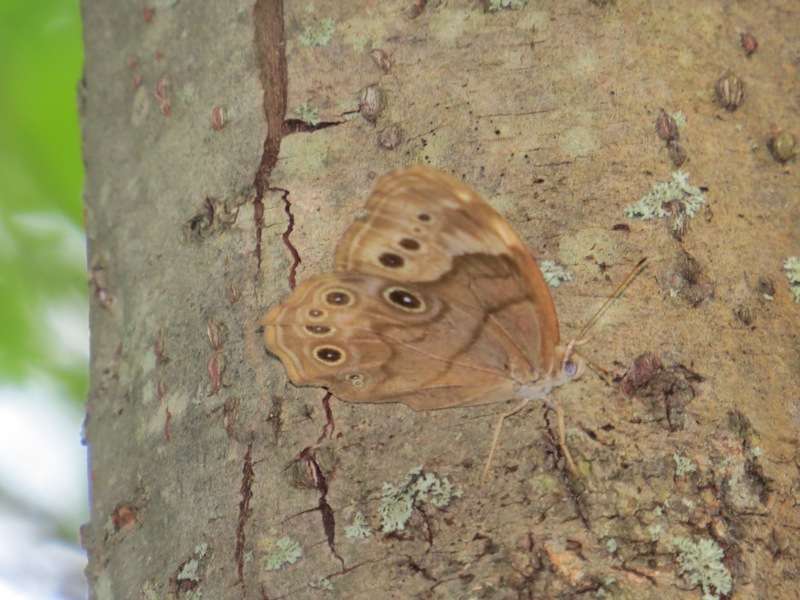 The differences are subtle, but I think this is the Appalachian Brown (S. appalachia). Took this photo with a flash because of the darkness of the woods. Both of the Meadow and the Brown were firsts for me. It’s always a thrill to discover something you’ve never seen before.